The world's largest horse and buggy stands at the corner of a small park in Mesopotamia, Ohio. 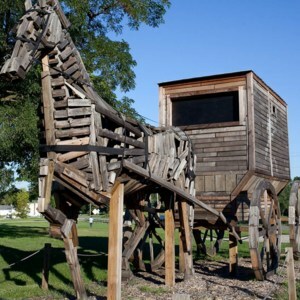 The wooden horse and buggy are perfectly proportional to an actual horse and buggy, and uses 2300 board feet of lumber. But, this Trojan horse poses no threat to the residents of Mesopotamia. 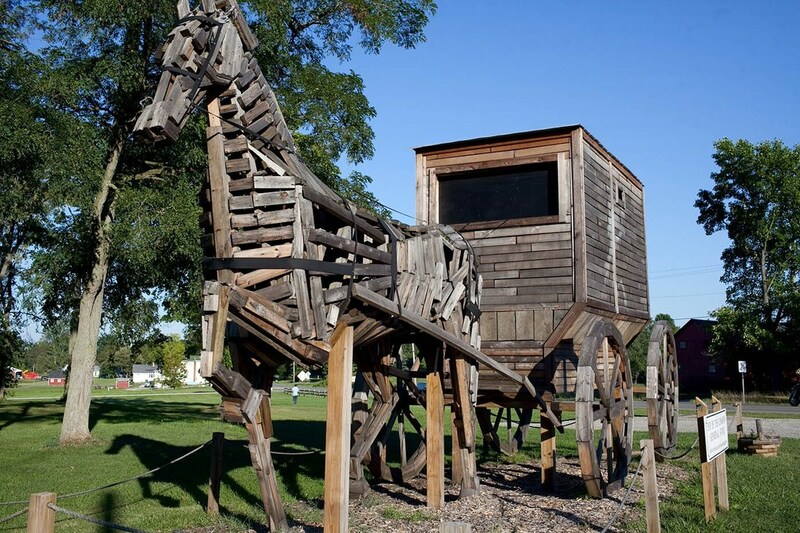 The horse and buggy were both conceived and constructed by artist Chris McConnell: a CIA sculpture student with numerous other monumental works of animals around Ohio. 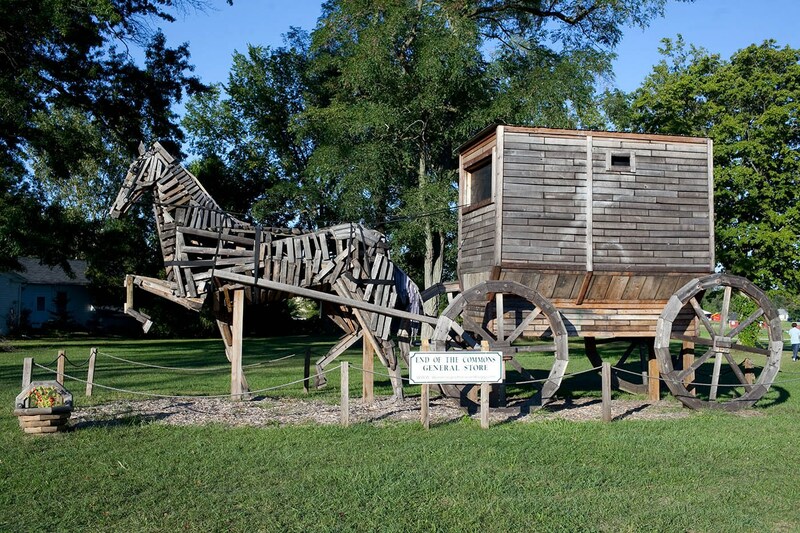 : Chris McConnell, “The World's Largest Amish Horse and Buggy,” Ohio Outdoor Sculpture Inventory, accessed April 20, 2019, http://oosi.sculpturecenter.org/items/show/1527.